Oh, all of us at one point or another have held back information to someone which should have been shared...We had the opening to tell it, should have just said it...but didn't knowing, we missed an opportunity to make things right. Now not all withheld information is equal. In The Trouble with Cowboys by Victoria James takes this idea and runs with it. Tyler Donnelly has been away from his family ranch for eight years.He left abruptly leaving behind his best friends, his father and the ranch he loved. He left in pain; he had lost his beloved mother to cancer after a fight to the end. His father had become distant during this cancer battle and when they put his mother to rest, words were spoken that could never be taken back. Tyler is called back to the family ranch when his father has a stroke. With guilt and duty guiding him, he is stunned when he sees the shape of the ranch. It is a shadow of what it was...rundown and nothing like it once was. With a vow to bring it back to all its glory, Tyler emotionally digs his heels in and steels himself to go into town and deal with the fallout and bad feelings he knows he will find there. Lainey Sullivan is someone special. Lainey's grandmother raised her and showed her how to run the diner she owned. The mother Lainey had was always chasing love with new boyfriend after new boyfriend causing the grandmother to step up. Through the rules and ethics drilled into her, Lainey has held out for a love that was real. It also didn't help to have Granny's voice in her head warning her about cowboys and their charming "Love 'em and Leave 'em" ways. After all, she was only surrounded by cowboys! When Lainey experiences the loss of her grandmother and then her own selfish mother, she had an understanding of the feelings Tyler's father carried. The man started to come to the diner for dinner and slowly both of them became dear friends. Lainey was the one who discovered Tyler's father having the stroke. She was able to get the EMT's there in time to save him. Now she makes time to come to the ranch every night with dinner. She sits and talks with him and gives him a moment to feel like old times. Tyler and Lainey cross paths at the ranch and the diner. There is an undercurrent between them and before long, a kiss is exchanged. Both want to pursue it but have different beliefs. Tyler knew Lainey wanted it all; white picket fence, 2.5 kids and everything else commitment brings. He didn't think he was worthy and neither did any of his past friends. This is a story about two people who have lived and had to deal with all sorts of pain. One sacrificed herself for others and then became caught up in withholding important information which would complicate everything. Tyler was still carrying the pain inflicted so many years ago and wanted to receive the love he lost. These two were good for each other and just needed to get out of their own way...and let love happen. 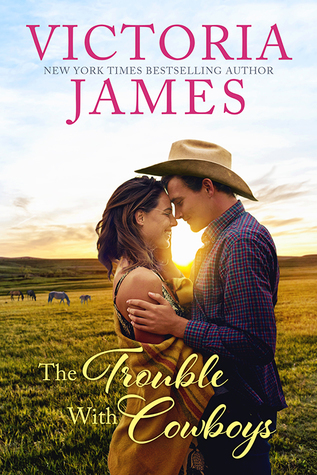 If you like small towns, family conflicts, and sweet love stories, this will work. A gifted copy was provided by Entangled Publishing, LLC via NetGalley for an honest review.